First Channel reports that elections took place in 80 Russian regions and voters elected governors, mayors, and deputies. The new governor of Yamalo-Nenetsk Autonomous Region, Dmitry Artyukhov, became the youngest elected governor, at just 30 years old. At some polling stations, especially in Moscow, concerts and contests for children were organized. In the Moscow Region, special polling stations were organized for Muscovites who spend weekends at dachas outside Moscow. President Putin voted, as always, at the Academy of Science building. 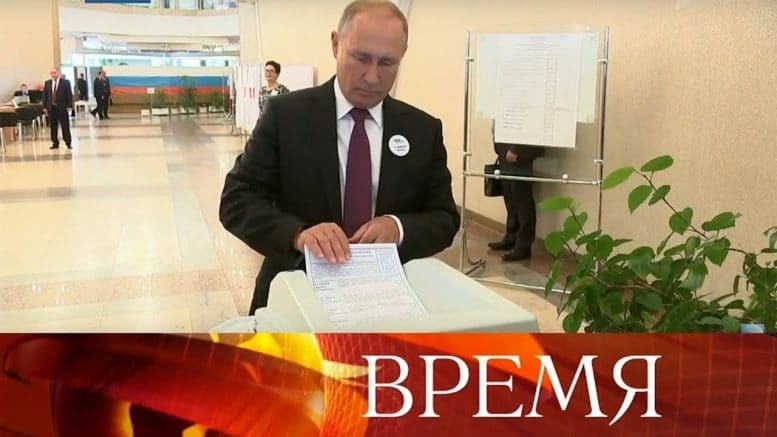 Russia Channel reports that on September 9, governor elections took place in 26 regions of Russia, with 7 incumbent governors running in 7 regions, and new candidates, recently appointed by the President as interim governors to replace dismissed or promoted governors, will be running in the other 19 regions. The channel states that almost one-fourth of all governorships will now be staffed by new people, indicating that the President is responding to calls by society to rotate those in power. Russia Channel reports that most candidates “are young, but already experienced managers, who have proven themselves well in managerial positions.” During the two recent months, President Putin met in person with each of the candidates he had appointed as interim governor, “and discussed current events.”. First Channel reports that in the second tour of the governor election in Primorie Region, incumbent interim governor Andrei Tarasenko and Communist Andrei Ichshenko are competing for the post of governor. According to the preliminary data, Ichshenko is the leading, with over 50 percent of the votes, while Tarasenko has about 47 percent of the votes. First Channel gave a rather dramatic report about “political intrigues and tricks.” The report briefly mentioned that in Vladimir region, incumbent governor Svetlana Orlova, candidate from United Russia, competed with candidate from LDPR party Vladimir Sipyagin, without giving preliminary results or additional information (Orlova lost by a fairly wide margin). The main focus of the report was Khabarovsk, Khakassia, and Primorie. In Khakassia republic, at 11:30 pm (30 minutes before the deadline), incumbent governor Victor Zimin withdrew from the race. He had been governor for years, but lost the first election tour to young politician Valentin Konovalov from the Communist Party. The report showed an extended clip of him explaining his decision which boiled down to that he “didn’t want to allow a split in the region.” Konovalov will now have to compete with Just Russia candidate Andrei Filyagin, who had come in third place in the first round of voting. The major focus of the report, however, was the Primorie Region, where the elections were recognized invalid, because of “gross violations of both the parties.” The report covered the blatant last-minute changing of the election results by the incumbent governor, Andrei Tarasenko, who used emergency crews to close polling stations and change the results. The report even included YouTube clips of people reporting their disgust of Tarasenko, who, it was reported, has now withdrawn entirely from the race. 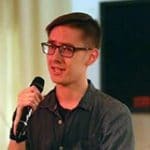 Russia’s Central Election Commission has annulled the voting, also citing alleged vote buying by the Communist candidate who would have won the second tour, and bringing in a political scientist to discuss the Communist candidate’s failed business projects and their effect on the local populace. With the annulment of the elections, a totally new election will be held. The report did not mention (as it had not yet happened) that United Russia will be fielding a new candidate in that election. In the Khabarovsk Region, the candidate from LDPR, Sergey Furgal gained almost 70 percent of the votes, while incumbent governor Vyacheslav Shport gained about 28 percent of the votes. The report also mentioned voting irregularities for this region, namely that Furgal still had an electronic billboard up and “cars with posters” on the streets during the “silent day” before the election when no campaigning should take place. Voter turnout, the report stated, was extremely high for the region – 43 percent. First Channel reports that the President met with the candidates who won at the current governor elections and set the two main tasks for them: grow people’s incomes and increase people’s life expectancy. First Channel reports that in three Russian regions, new governors took offices, representing “the new generation of politicians.” These include interim governor of Primorie Region Oleg Kozhemyako, who asked President Putin’s permission to run in the new elections to be held in the Primorie Region after the former elections were annulled. Kozhemyako was, at the time, Governor of the Sakhalin Region. He resigned from that post and has been appointed interim governor for Primorie. They also include Gleb Nikitin, who had been appointed interim governor of Nizhny Novgorod region and then won the current election) and Vera Scherbina, who is the new interim governor for Sakhalin following Kozhemyako’s departure. Political experts said in a First Channel interview that the new governors were selected on the basis of experience and ability to govern a region. First Channel reports that 16 out of 20 governors who won the elections, are in United Russia party. Most newly elected deputies in the regions also belong to United Russia. Russia Channel states that the Ukrainian Orthodox Church of the Moscow Patriarchy is already a truly autonomous church. It has more than 12 parishes and more than 200 monasteries, including three lavras. Meanwhile the Ukrainian Orthodox Church of the Kyiv Patriarchy, which made an unauthorized split from the Moscow Patriarchy in 1992, has no lavras, and has a much smaller number of monasteries and parishes. It is, however, the church favored by Ukrainian politicians now in power. Russian Orthodox Church leaders compare the current events in church life of Ukraine with The Great Schism of 1054 when Christians split into Catholics and the Orthodox. Church Intrigues, Termination of Agreement on Friendship with Russia – How Else is Petro Poroshenko Trying to Gain Points for Election? First Channel states that Ukrainian President Petro Poroshenko is “playing the anti-Russian card again” at the start of the election campaign in Ukraine: he terminated the agreement on friendship between Russia and Ukraine (signed by President Yeltsin and President Kuchma in 1997), and has encouraged and supported the growing split between the Ukrainian Orthodox Church and the Russian Orthodox Church.